Cut? Check! Color? Double check!! Flawless is your middle name… and it can stay that way even when it’s time to condition your hair. 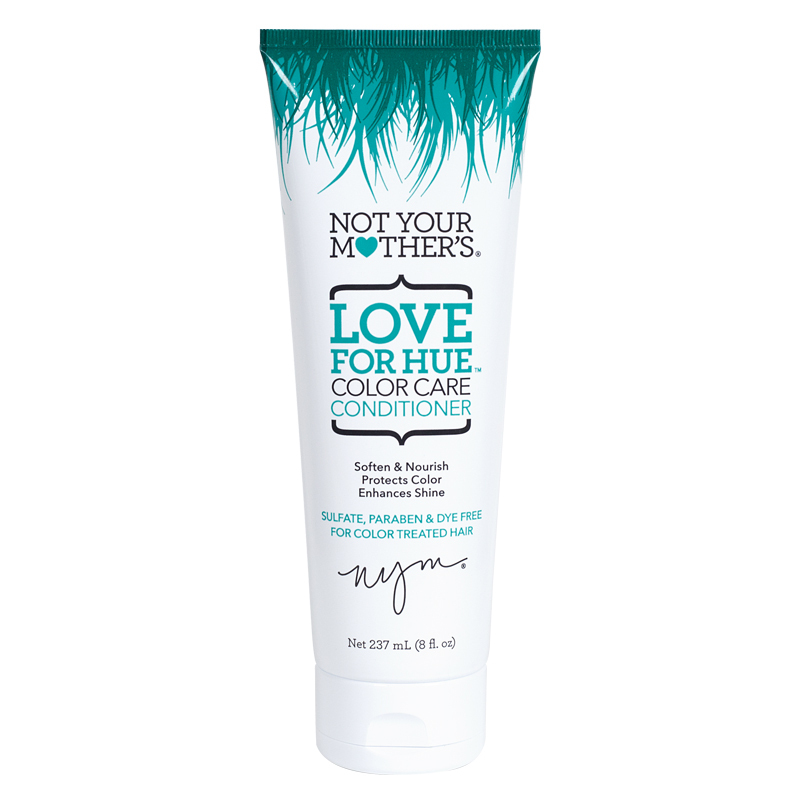 Love for Hue will soften, add shine and condition & nourish hair damaged by coloring – as it’s sulfate, paraben, dye and gluten free. Infused with sunflower seed and pomegranate extracts to protect color from fading and extend color intensity & radiance, you and your hair will be so vibrant you’ll want to hold on and never let go. 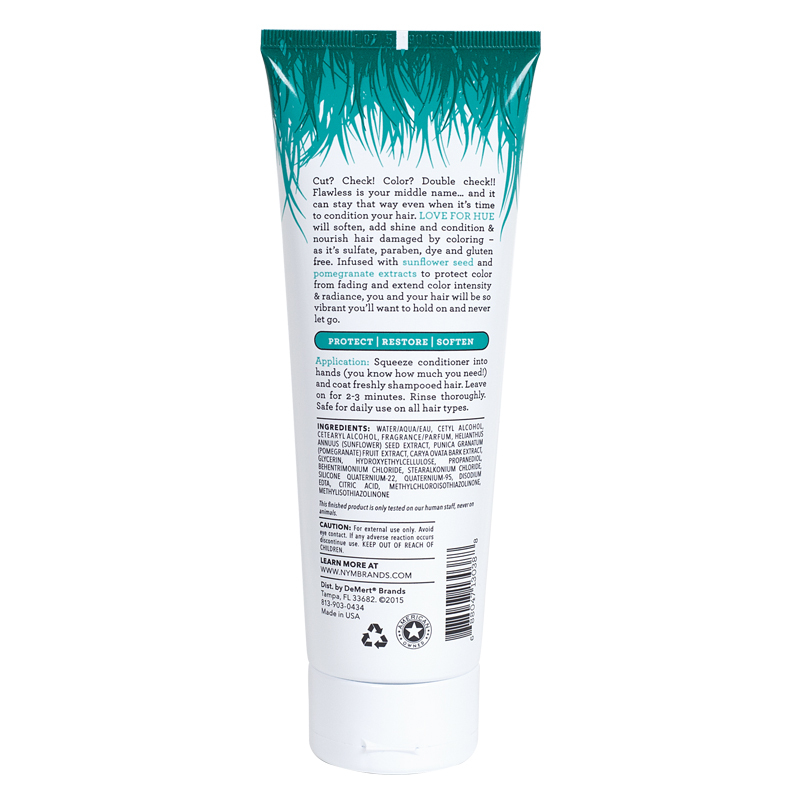 Application: Squeeze conditioner into hands (you know how much you need!) and coat freshly shampooed hair. Leave on for 2-3 minutes. Rinse thoroughly. Safe for daily use on all hair types. Caution: For external use only. Avoid eye contact. If any adverse reaction occurs discontinue use. Keep out of reach of children.